Over the past decade, Greta Gerwig has become one of the most vital and vibrant stars of the independent film scene. In doing so, she has established an artistic identity apart from her acting: she co-directed Nights and Weekends with Joe Swanberg, and has cultivated a strong creative and personal partnership with Noah Baumbach, co-writing two of the most attuned comedies of the decade together. 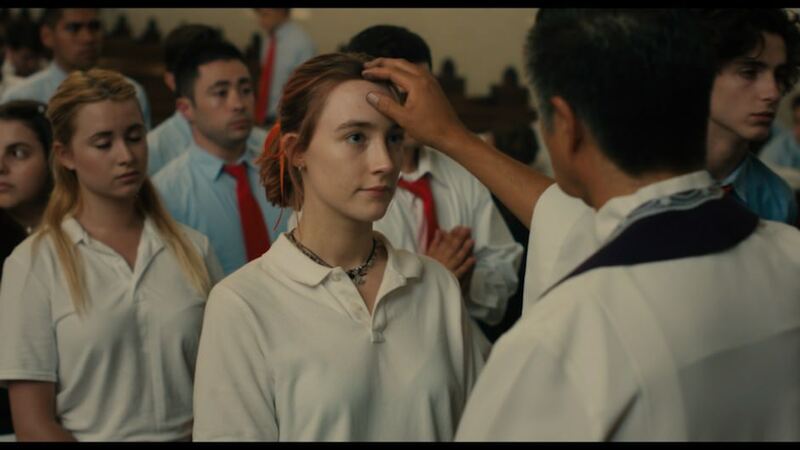 So it was only a matter of time before Gerwig made a film all her own, and with Lady Bird comes something expected yet totally delightful: a work of both nostalgia and anti-nostalgia, something both fleeting and grounded, all anchored in an utterly indelible character. That character is Christine McPherson (Saoirse Ronan), nicknamed (by herself) Lady Bird, a young woman in her senior year of high school literally living on “the wrong side of the tracks” in Sacramento circa 2002. An underachieving yet passionate student, she wishes nothing more than to go to a college on the East Coast in a city that, unlike her perception of her hometown, has culture and heritage. Sensibly, Lady Bird is effectively split into two stories: the more dominant portion, dramatically speaking, deals with Lady Bird’s tenuous relationship with her family, including her tough, loving mother (Laurie Metcalf) and her kindly but suffering father (Tracy Letts); and the second, more lighthearted but never lightweight one portrays her life at her Catholic private school, negotiating popularity, drama, poor math grades, and the college application process. None of this material is especially new, even if it does reflect Gerwig’s own background, but what distinguishes it, as with many great films in the coming-of-age genre, is its approach. Lady Bird takes place over the course of the entire year, starting on the backend of a college tour trip and ending in the streets of Manhattan, and much of its strength lies in how well it treats the milestones – drastically different Homecoming and prom dances, among others – with the same emphasis as the smaller moments. Lady Bird finds and loses boyfriends (Lucas Hedges and Timothée Chalamet, with wildly contrasting but wonderful performances), fights with her best friend (a beautifully honest Beanie Feldstein), and yet all of the events feel astonishingly fleet. Much of this is due to the marriage of Gerwig’s inherent knack for scriptwriting and the top-to-bottom stellar cast. Ronan and Metcalf have undoubtedly the most dynamic parts, alternating with alacrity between prickly stubbornness and genuine appreciation, frequently in the same scene, but they never overwhelm the rest of the film. And Gerwig’s contribution as director is subtle but effective; a few of the most dramatic moments are rendered with a stunning theatrical push-in on a conversation, but for the most part there is a steadiness and evenness to her style. Unlike last year’s great teen film, The Edge of Seventeen, Lady Bird has only a hint of venom in its veins. Significantly, in a gesture that signals the general, intensely admirable approach, in the final scenes New York is rendered for once almost like a small town. 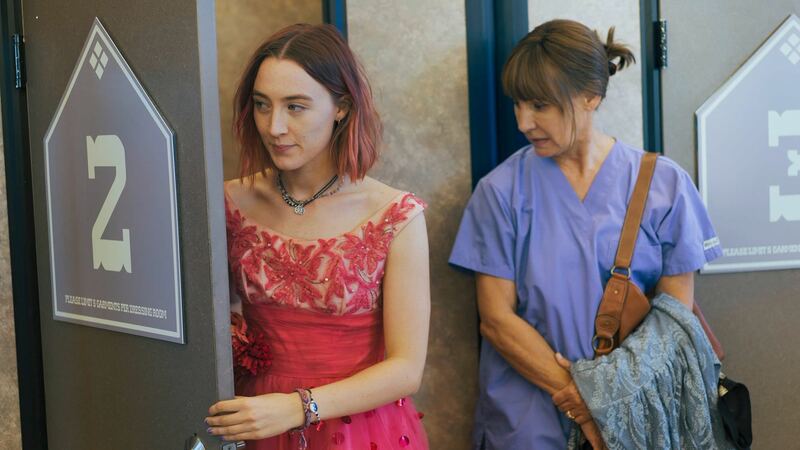 The implication, beautifully rendered with some jump-cuts that rival the devastating one in Good Time for sheer pathos, is that nature is as important as nurture, and Gerwig draws out just how much the seemingly sterile and flat Sacramento has given Lady Bird, and by extension herself.